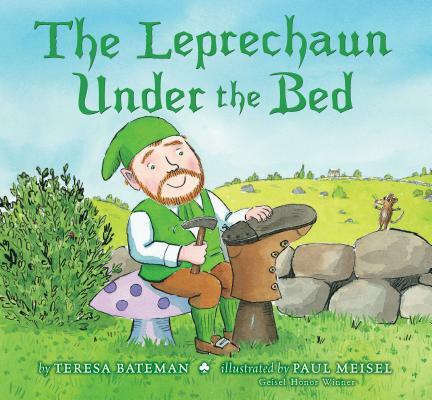 "A leprechaun can be alone without being lonely," says Brian O'Shea. And that's how Brian likes it-- so when a big human man tries to build a cottage on top of Brian's underground home, the leprechaun does his best to scare the fellow away with his magical tricks. But Sean McDonald refuses to be frightened off-- and over time the two develop an unlikely friendship. After all, a leprechaun in the house is a fine piece of luck-- and that luck comes in handy when news of Sean's good fortune attracts dangerous attention. Cleverly told and brightly illustrated, this folktale friendship is a delightful tale for St. Patrick's day-- or any day when you could use a little magic. Teresa Bateman is a school librarian, a storyteller and the author of many lively stories and poems for children. She has won both the Storytelling World Award and the Anne Izard Storyteller's Award. Her books include Red, White, Blue, and Uncle Who? and Keeper of Soles, an ALA Notable Children's Book. She lives in Tacoma, Washington.